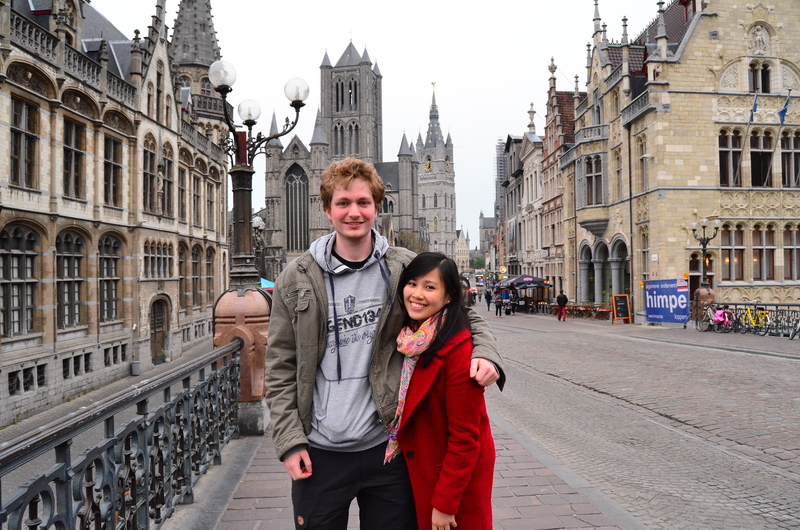 As fascinated as I already was with Brugge earlier that day, Ghent seemed to have struck me a bit more. 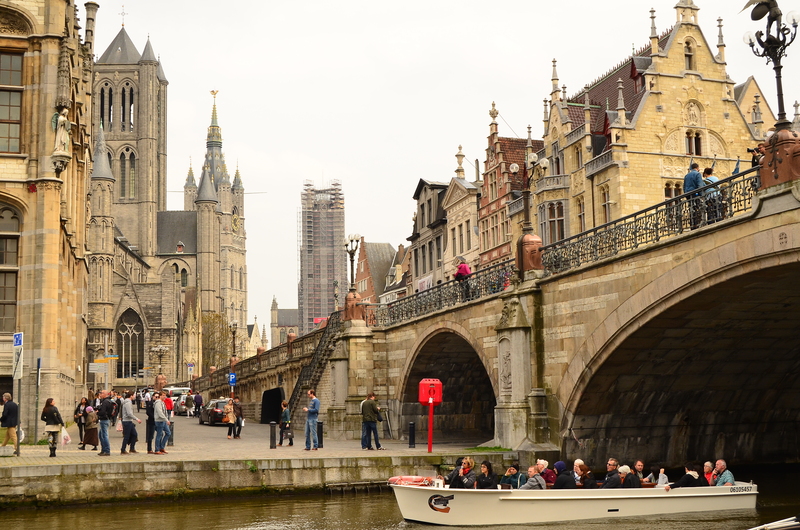 Though arriving into the city center wasn’t as easy as it was when compared to getting to Brugge’s town center, finding it felt like a treasure hunt that ended in finding this jewel of a city. The main train station is a few tram stops away from the city center, which we didn’t know at that time, so we decided to go on foot instead. After about two to three kilometers in, we realized that we were getting nowhere, and decided to just catch the tram and find the best stop to get off at. 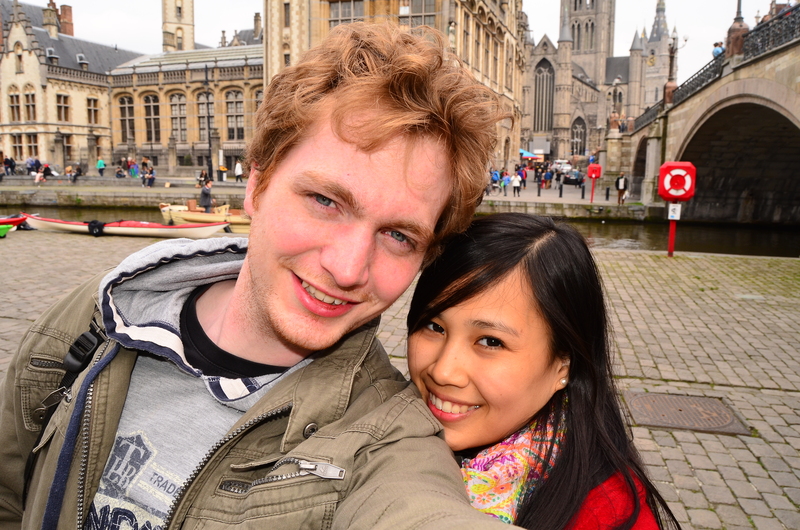 A couple stops later, we finally found ourselves in the old city center. 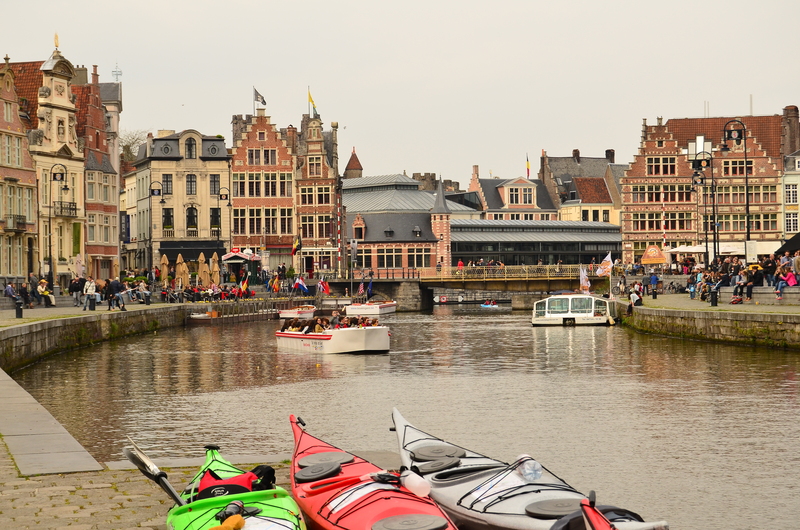 Immediately striking a chord, this city, though not as popular as its other Belgian counterparts, suddenly made it to my list of favorite cities in the world. 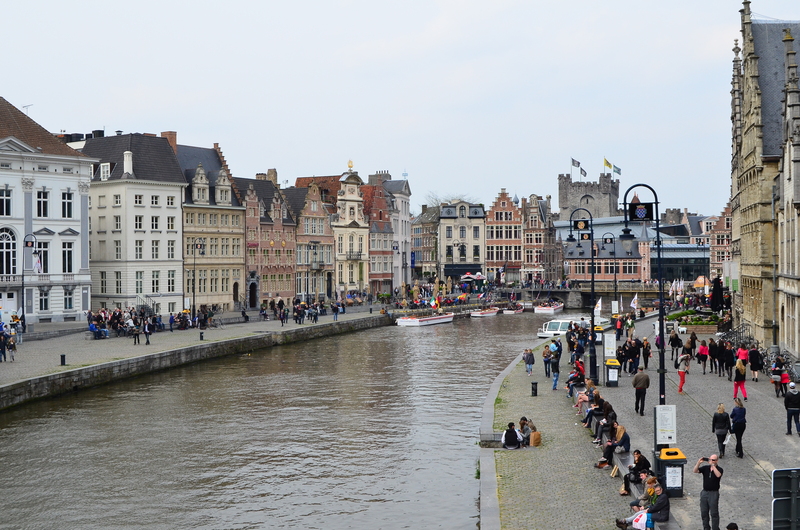 The Graslei, pictured below, is probably the most scenic part of Ghent. Regardless of the fact that we had just been in the city for not more than an hour, I knew I fell in love with every bit of it. 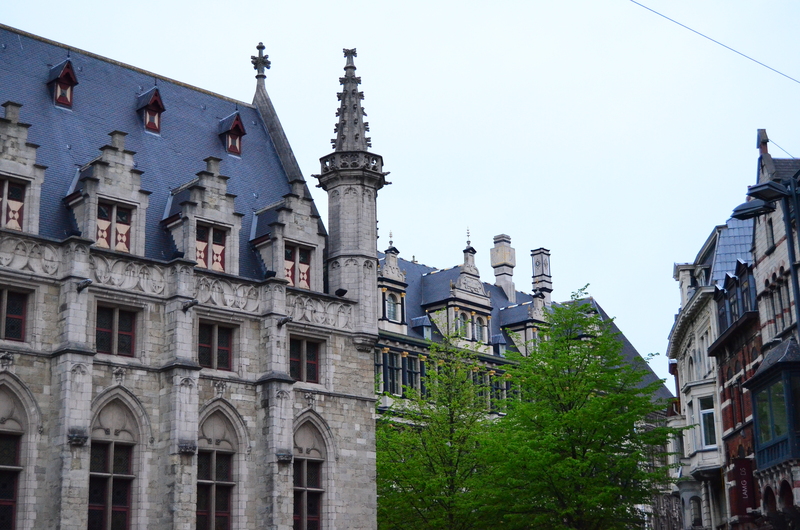 Everywhere I turned, medieval architecture greeted me and Ghent simply oozed with so much character. 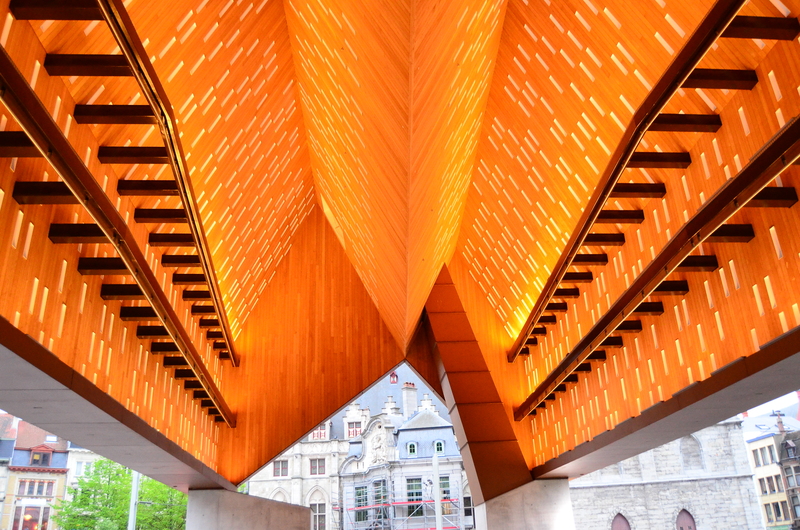 A city this unique, exquisite, and full of charm could make you easily lose track of time, which was actually what happened as you’ll read on. 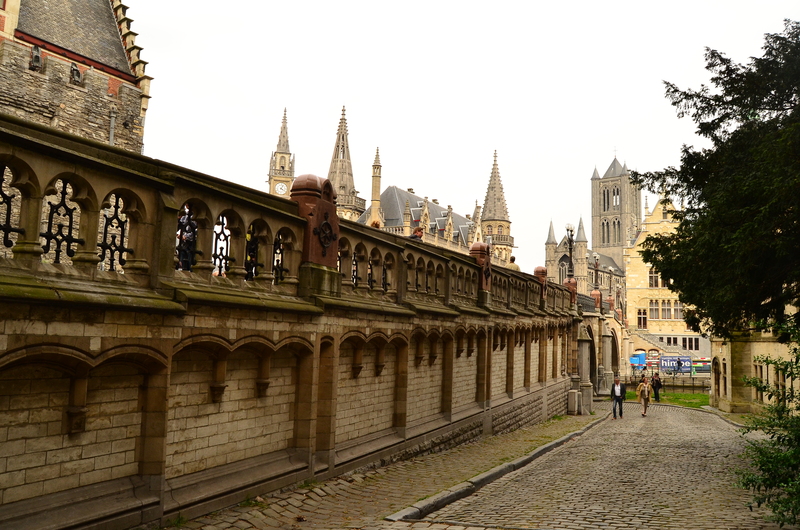 As I admired every inch of Ghent, I knew I could spend hours simply marveling at all the city had to offer from its majestically-structured buildings, its colorful alleyways, the kind locals, and so on. Having spent the afternoon being mesmerized by everything I saw, we headed to meet a childhood friend who was also in the city for a visit. 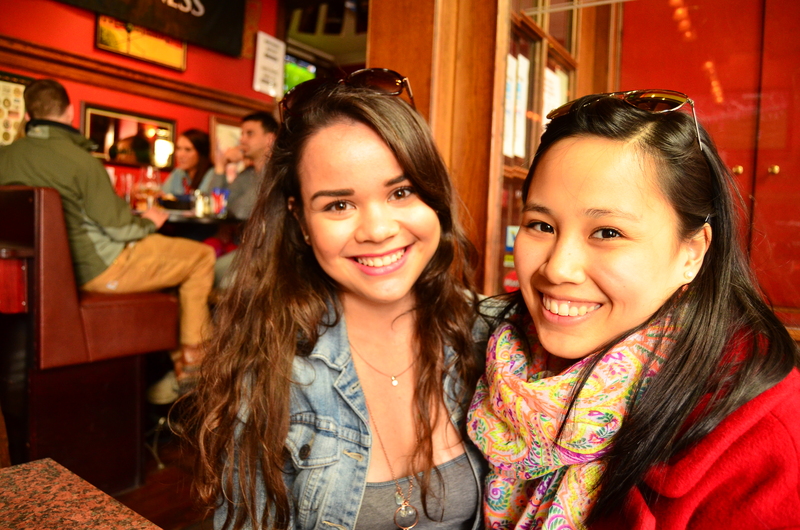 Right by Saint-Nicholas Church is Celtic Towers Irish Pub, which is the best place to spend an afternoon with friends. The place gives you this hip and laid-back vibe, which is in absolute contrast to what’s right outside. 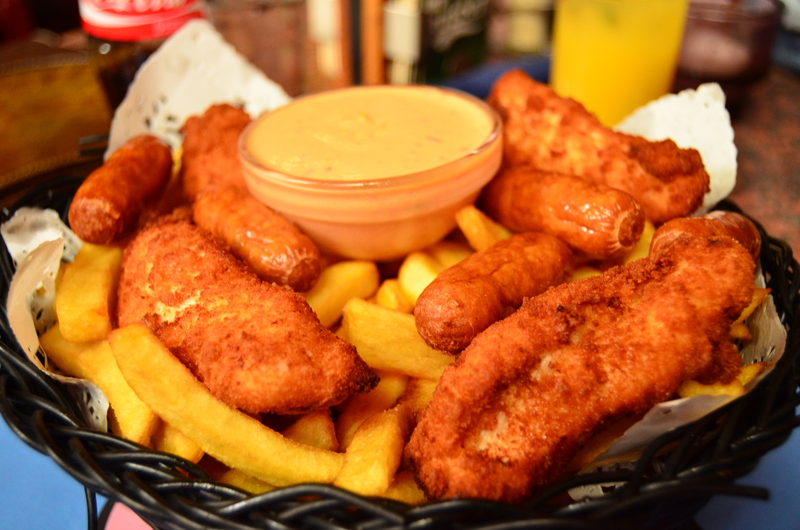 The food is good, the drinks as well, and everything is reasonably-priced! So if you ever find yourself in this part of the world, do make a stop at Celtic Towers Irish Pub. 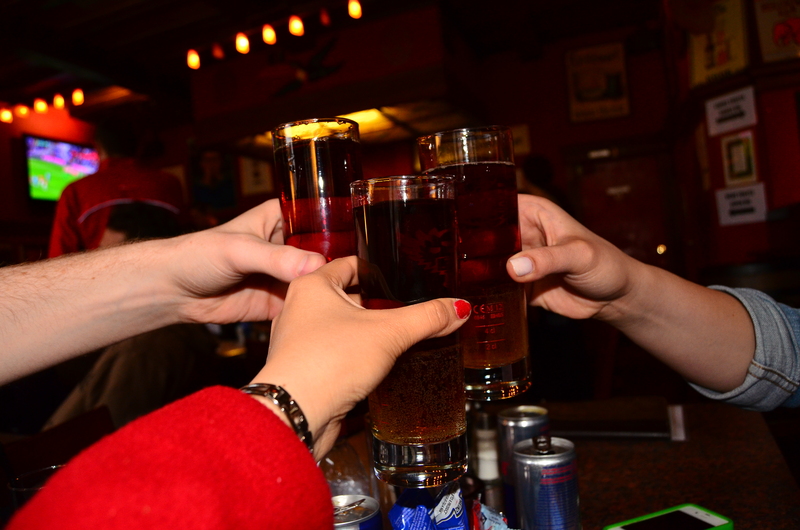 Given that we were having such a splendid time enjoying good food (and drinks) with good company, we stayed way beyond what we originally-planned, as we toasted to a day well-spent. Before ending the day and hopping on a train back home, we knew we just had to take one last look at the city. 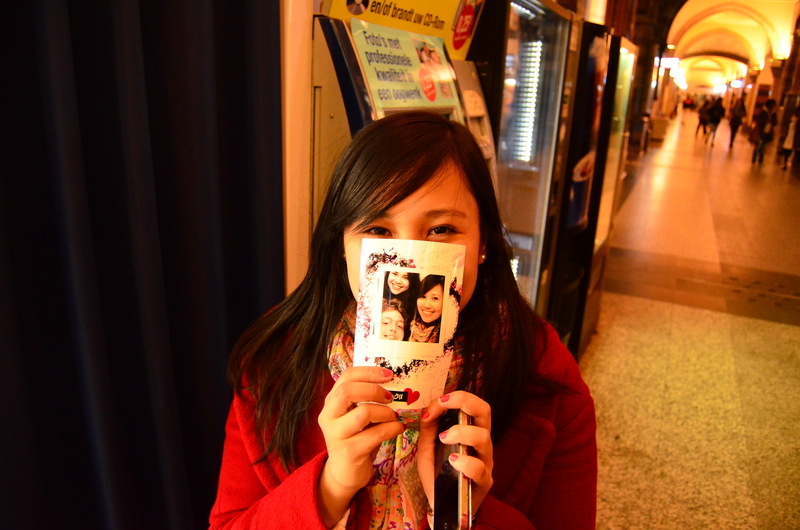 Again, we lost track of time. 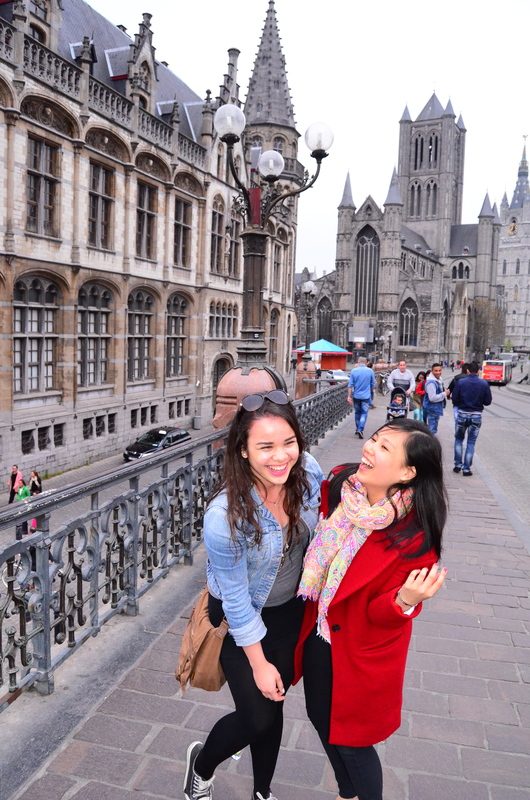 What was initially supposed to be a couple of minutes roaming the streets turned into nearly two-hours-worth of frolicking through timeless Ghent. 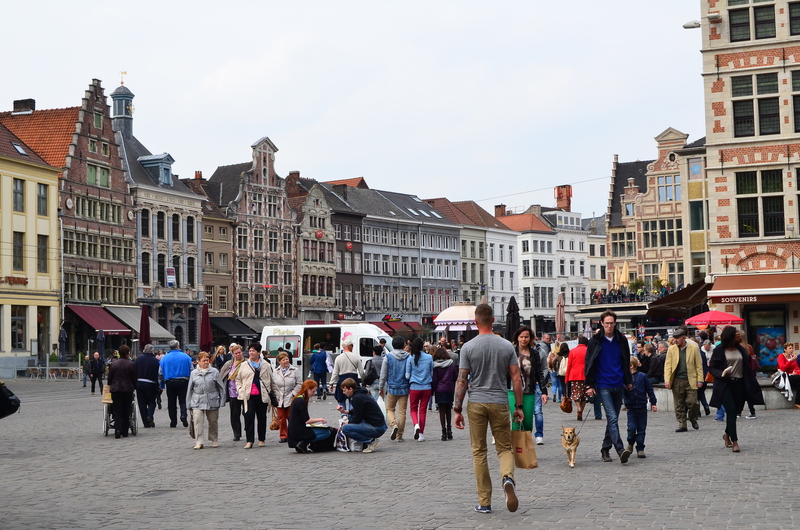 Most of the people had gone home and the city center wasn’t as filled with tourists as it was earlier, making it even more serene and beautiful, which I didn’t think was possible. 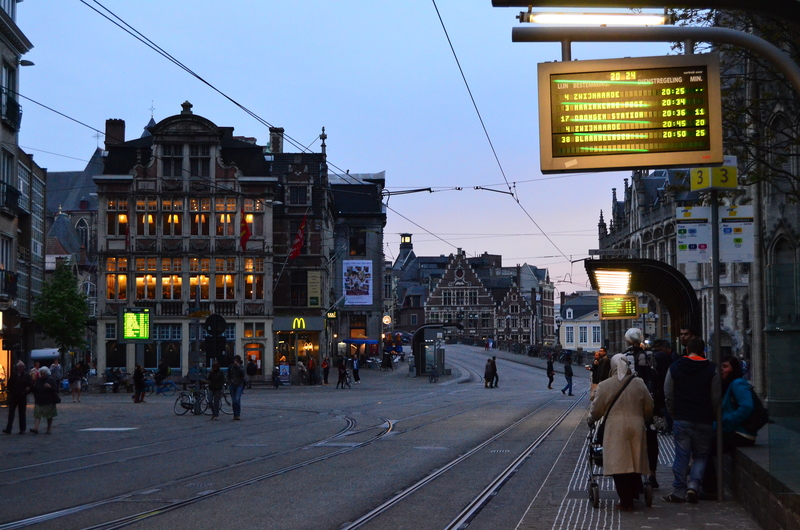 When we finally had to say farewell to this fantastically timeless city, we rode the tram back towards the main train station. 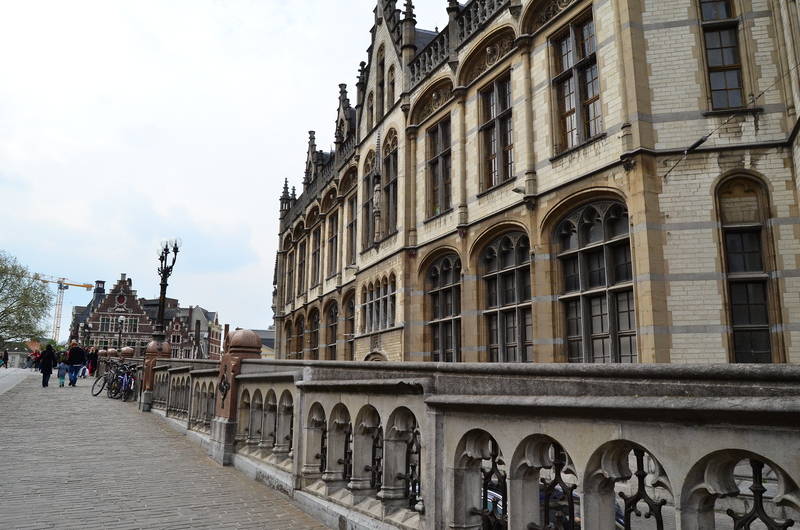 Not that I need to say it again, but Ghent was just breathtaking in every way possible, and seeing photos of it once more inspires me to go back and discover what more the city has to offer.